There will also be vendors throughout the store educating our customers about their products and services. Entering our store under the sign that proclaims “Ohio’s Great American Outdoor Store” it will take you very little time to realize that you haven’t entered into just any store but have stepped into an “experience”. From our Fishing Plane that hovers over our entrance to our numerous wildlife mounts and hand-painted murals you will understand that our store affords you a shopping excursion that is unique to any other store around. Many of our customers come in for our world famous Hunting and Fishing departments but quickly discover that our store has much, much more to offer. The trained and knowledgeable staffs in Hunting and Fishing will expertly answer all of your questions and make sure you are completely outfitted for your next trip. Our Tracker Boat and Marine department has a wide variety of boats and boat accessories as well as ATV’s and other water sports equipment. Our camping staff will get you ready for your upcoming outing in the great outdoors with our extensive inventory of tents and other camping items. They will even help you out with your kayaking needs so you can hit the water in the right equipment. Our Gift Department has many unique items that both collectors and gift-givers alike will enjoy. Our large Apparel and Footwear departments carry many well-known brand names like Under Armour, Bob Timberlake, Rocky and Wolverine, RedHead and World Wide Sportsman brands. The centerpiece of our store is our two-story, 24,000 gallon Aquarium and Waterfall. Several varieties of fish inhabit our tank, all of which are native to the State of Ohio including 4 largemouth bass weighing in at over 10 pounds, several other species of bass, walleyes, catfish, crappies and bluegills. We have a live fish feeding every Wednesday at noon, and on Saturdays and Sundays at 2:00pm which are both educational and entertaining. Be sure to take your best shot at our Uncle Buck’s Cabin Shooting Gallery located downstairs next to the Aquarium and Uncle Buck’s Snack Shop. Don’t leave the store without stopping by the Snack Shop located on the first floor near the Aquarium to partake in some of their delicious food and snacks, including their world famous Cinnamon Roasted Nuts and Delicious Fresh Fudge made right in the shop. 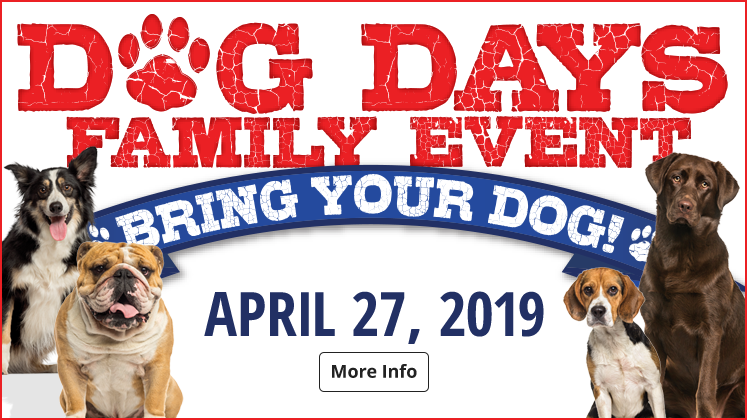 We have several special events and sales a year including our Spring Fishing Classic in Feb/Mar, Go Outdoors Sale in May, Fall Hunting Classic in August, our Free Boat Show in January and many others. In November, our store turns into a Winter Wonderland as our annual visit from Santa happens with daily chances to get your picture taken free with Jolly Old Santa. This is a great event packed with games and crafts for the kids and many Christmas items on sale. 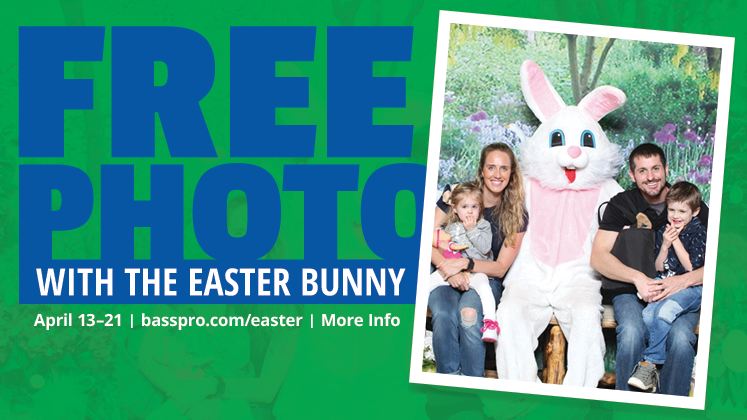 Bass Pro offers personalized tours, skills clinics, fundraising opportunities, meeting space, and more-- usually free of charge! Contact Dave Fisher DCFisher@basspro.com for more information and availability. Topics we specialize in include: fishing, fly fishing, archery, backpacking, camping, canoeing, cycling, climbing, hiking, and shooting. In addition, we also have Federal Duck Stamps for sale at our Customer Service Desk. 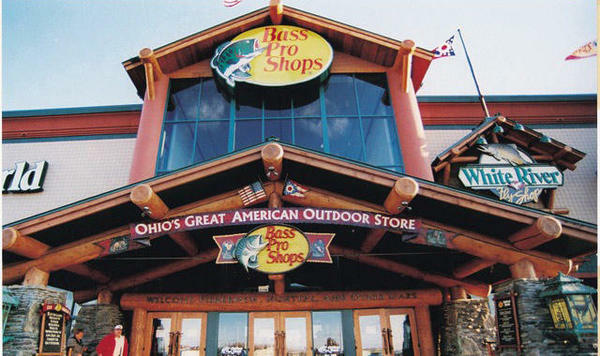 For the best in outdoor gear, shop at the Bass Pro Shops Outdoor World in Cincinnati, Ohio’s Great American Outdoor Store. 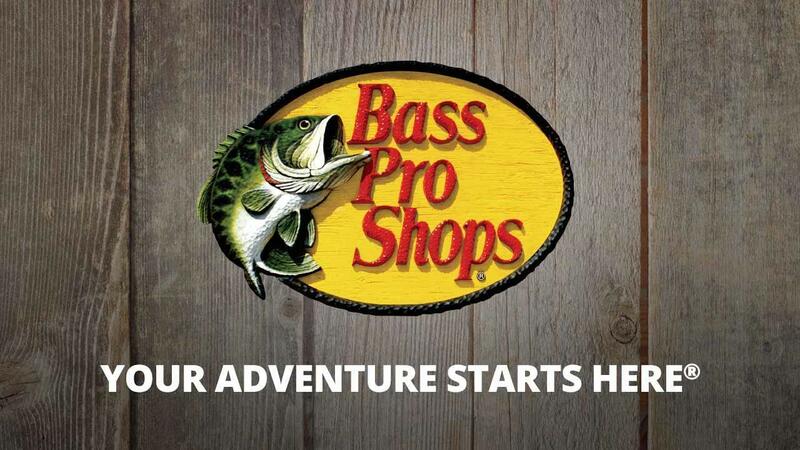 When you need quality outdoor gear or just simply want to maximize your outdoor experience and fun, shop Bass Pro.